The question is do you just sit back let the river take you in any direction, or do you fight the tide? In the current financial climate, there is an even greater need for managers from all areas of expertise to have a basic knowledge of finance to stay afloat. Take your budgets, for example, think of these as your rudder navigating you across the ocean, if you don’t understand how to control the rudder, how are you going to steer your boat to safety? In other words, the more control you have over the rudder the more likely you are going to meet your financial objectives. Although I have acknowledged the value of financial awareness, I will not pretend to be an expert. That being said, I am here to help! To find yourself riding on the crest of a wave use our finance for non-finance professionals course to give you the confidence to take on the financial tide. The physical environment is constantly changing – the wind, waves and weather; the business, the economic and financial environment. 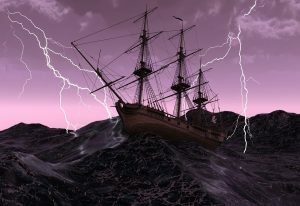 Good managers, like any good sailors, need to have the ability to anticipate when the environment is about to change and adjust to those elements which they have no control over. We’ve all heard of the expression ‘keep the boat afloat’ and we all know that boats of all sizes require a considerable amount of work, as managers you can learn a great deal from the finance for non-finance professional course to ensure you keep moving in the right direction. To navigate your boat – or business – effectively, it’s necessary for managers to be confident in understanding their role in the organisation’s finances. You may not be the captain of the boat but without a confident crew to paddle your vessel, it would never arrive at its destination. If you’re not careful your entire boat could sink, don’t let the jargon associated with finance send you overboard.